Hand Therapy - Helping you get back to what you love! Nov 27 Comments Off on Skier’s Thumb, more common than you think! Skier’s Thumb, more common than you think! The most common thumb joint injury is called Skier’s Thumb or Gamekeeper’s Thumb. It occurs when the thumb is stretched too far away from the hand accidentally during a fall or playing sport. One of the supporting thumb ligaments is sprained or pulled off the bone with or without a small piece of bone attached. The thumb is usually swollen and painful to move, particularly when stretching it out or pinching and gripping. Often there is no sign of injury on x-ray, however there will be pain and sometimes instability of the joint indicating a ligament injury. The ligament in question is called the Ulna Collateral Ligament (UCL) of the thumb metacarpophalangeal (MCP) joint. The good news is that most thumb UCL injuries recover well with therapy! There is only a small number that require surgery and in these cases it is because the ligament gets caught in some other soft tissue structures and cannot mend to the bone. This is called a Steiner Lesion and can be diagnosed on MRI if instability in the joint continues after casting or splinting treatment. If you have a suspected Skier’s thumb injury, you will need to protect the injured ligament for 4-6 weeks in a splint or cast. A plaster cast is a cheap and effective way to rest injured joints, however if both the wrist and thumb are immobilised, then stiffness nearly always results. A hand therapist can provide you with a custom-made splint or orthosis, that only limits a small amount of thumb movement to protect the ligament but allows you to continue using your hand for many things. The splint is also removeable, allowing you to wash your hand and do some gentle movement exercises aimed at preventing stiffness. Ligaments have poor blood supply and as a result take along time to heal. A hand therapist will be gradually increasing exercises, introducing strengthening at the appropriate time and giving advice regarding return to more demanding activities such as sports. If you think you have a Skier’s Thumb injury, book an appointment with us today so that you can get back to what you love. A common fingertip injury occurs when something hits the end of a straight finger forcing it to bend. Often, it’s a ball when playing sport! Afterwards the end joint of the finger doesn’t straighten properly. The resulting drooping fingertip looks a bit like a mallet or hammer, so we call it “Mallet Finger”. The fingertip droops because the tendon that straightens the end joint is no longer attached to the bone and can’t do its job. Mallet finger can be either a direct tear to the tendon or, more commonly, a piece of bone that is attached to the tendon fractures away. Unfortunately, the problem won’t fix itself and if it’s ignored it can cause long-term pain, stiffness and deformity of one or both finger joints. If you have a suspected mallet finger injury the first step is to visit your GP for an x-ray. This helps to determine whether there has been a bony injury or tendon injury. In rare cases a relatively large piece of bone breaks off, disrupting the joint entirely and requires surgery to correct the joint alignment. In most cases, there is only a small piece of bone or a tendon injury and this can be treated very effectively with hand therapy. Results are always better if you get treatment as soon as possible. If treatment is delayed by more than three months, it may be impossible to correct the problem and the joint may have to be surgically fused. Early treatment with hand therapy is very simple! A custom-made splint that holds the tip of the finger very still must be worn continuously for six to eight weeks. It is very important NOT to bend the fingertip at all, not even once, for at least six weeks. If you do, the immobilisation period is reset to day one and you will need to be held in the splint for a further six weeks. Your treating therapist will show you how to safely wash the finger and reapply the splint without bending the fingertip. You will also be given gentle exercises for the middle finger joint to prevent it from getting stiff. 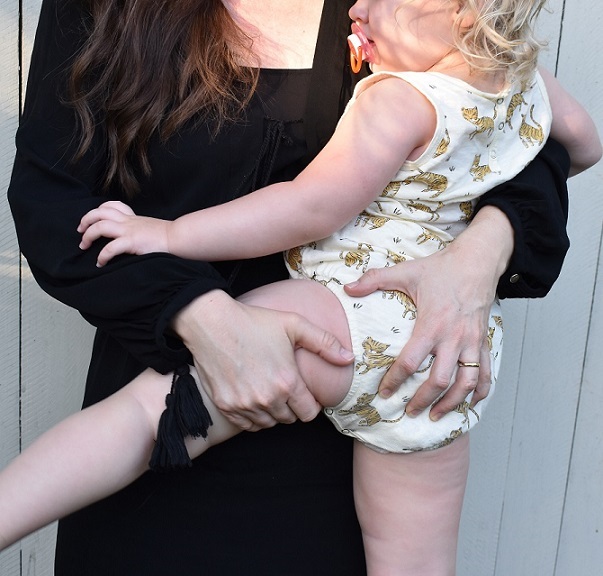 After six to eight weeks in the splint full-time, a gradual weaning process occurs under the guidance of your therapist. 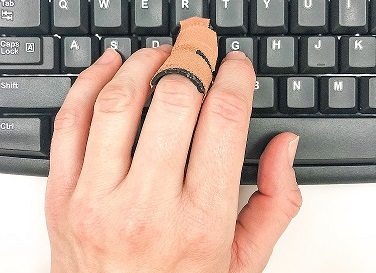 It is important that you do not return to sport or manual work without the splint on for 12 weeks after treatment commenced or else you are at risk of re-injuring the finger. Don’t ignore a drooping finger, the treatment is simple and very effective if started as soon as possible. So don’t delay, if you’ve got any of the above symptoms takes steps towards your recovery and book in with an accredited hand therapist today! A broken wrist is a common childhood injury. Four weeks in plaster and then everything is ok again. Most of us think it will be the same story for an adult, however that isn’t true. Whilst a broken wrist is also a common injury for an adult, unfortunately the recovery is not so easy. After the initial six weeks in plaster, your wrist and hand need a lot more time and work to get back to your pre-injury activities. A broken wrist is usually a fracture of the distal radius, that is a break in the end of the forearm bone on the thumb side at or near the wrist joint. In older people, this can be caused by a simple fall, whereas in younger people this is usually caused by motor vehicle or sporting accidents. An American study published in 2009 (Ehsan & Stevanovic) estimated women as having a 15% chance of having a wrist fracture in their lifetime, whereas men have a 2% chance of a wrist fracture in their lifetime. An Australian study published in 2001 (Nguyen, Sambrook & Eisman) reported women to be four times more likely to fracture their distal radius than men. Stiffness and weakness of the wrist AND hand are the most common problems after coming out of plaster, whether the fracture was treated in a cast or required a surgical fixation. Most people also experience some degree of swelling and pain, but this varies greatly from person to person. It is also important to consider that in the early days after the plaster comes off, whilst the bone has healed enough to allow movement and some light everyday hand use, it hasn’t healed to it’s full strength and this is likely to take at least 3 months after the injury. The therapist’s role is not only to prescribe exercises and materials for therapy but help you to understand the healing process and what activities are safe to commence at what time. This helps to prevent re-injury and unnecessary pain and frustration. It is a lengthy process the but investment of time and energy into your hand therapy regime will pay off in the future. Nguyen, T.V., Sambrook, P. N., & Eisman, J.A. (2001) Risk factors for proximal humerus, forearm, and wrist fractures in elderly men and women: The Dubbo osteoporosis epidemiology study American Journal of Epidemiology, 153(5): 587–595. Ehsan, A. & Stevanovic, M. (2009) Skeletally mature patients with bilateral distal radius fractures have more associated injuries Clinical Orthopaedics & Related research 468(1): 238-242. Feb 15 Comments Off on Are you putting up with thumb pain? Are you putting up with thumb pain? 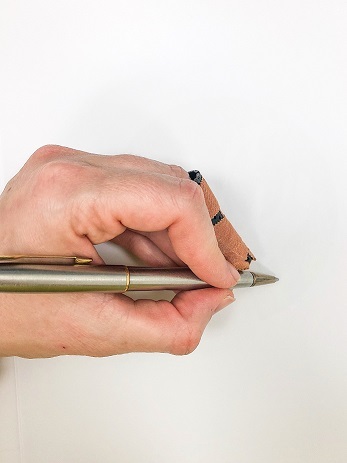 If you have pain in your wrist or thumb when you write, use scissors, hold a knife or pinch things and you’re over 50, you may have base of thumb arthritis. This painful condition can prevent you from doing basic everyday things as well as leisure activities such as gardening or knitting. The good news is that you don’t need to give up four favourite hobbies! The problem occurs from wear and tear of the mobile joint at the base of the thumb where it joins the wrist. We call this the first carpometacarpal (CMC) joint. The CMC joint is a saddle joint where the long bone of the thumb (first metacarpal) forms the rider and the small wrist bone (trapezium) is the saddle. 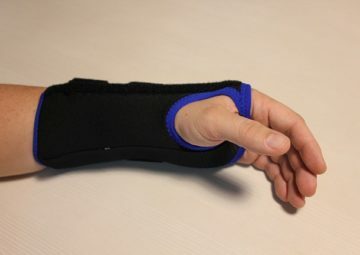 The joint is highly mobile, allowing for the ability to oppose and rotate the thumb to form a wide variety of grip patterns from open grasp to pen grip to key pinch. Unfortunately, forces at the tip of the thumb are magnified twelve times at the base, meaning that 1kg or pinch force translates into 12kg of force through the first CMC joint. For many people over time the smooth protective cartilage that covers the joint surfaces wears away. What’s left is bone rubbing on bone which is painful and causes swelling of the joint which in turn stretches the supporting soft tissues. Over time the joint may slip out of alignment causes a “z” deformity of the thumb. There is a surgical joint replacement procedure that can be done in very painful cases, but the surgery is painful and has a 6-month recovery time. Despite the wear and tear nature of first CMC arthritis, therapy can be very helpful in reducing pain and preventing progression of the disease. Hand therapy for base of thumb arthritis takes a three-pronged approach. Firstly, a small thumb splint helps to rest the CMC joint, minimise forces through the joint and reduce pain during functional tasks. Secondly, exercises aim to strengthen the supporting muscles around the joint to prevent it slipping out of alignment. Lastly, your therapist will discuss activity modification and show you how to do the things that are important to you without pain and to reduce load on the CMC joint. So, if you’re experiencing any base of thumb arthritis pain, don’t wait. Contact The Hand Recovery Centre today and get back to what you love sooner! Dec 20 Comments Off on My wrist hurts… What is deQuervains? My wrist hurts… What is deQuervains? Pain on the thumb side of the wrist is often caused by a condition called deQuervain’s disease. Often there is no fall or injury to the hand and pain may start suddenly or begin with a small niggle that gradually gets worse. The condition was named after a Swiss physician named Fritz deQuervain. There are two tendons that help to move the wrist and the thumb, called the Abductor Pollicis Longus (APL) and Extensor Pollicis Brevis (EPB). As the APL and EPB cross the wrist they pass through a fibrous tunnel that keeps the tendons close to the forearm bone during movement. In deQuervain’s, irritation occurs at this site where the tendons pass through the tunnel, causing swelling and pain. deQueverains occurs twice as often in women as men and frequently occurs in pregnant or new mothers. The exact cause of deQuervain’s is unknown. In some cases there is clearly an element of overuse or repetitive strain, but research tells us there are also hormonal, metabolic and degenerative factors involved. This unclear cause makes it difficult to effectively treat the condition. What treatments are there for deQuervains? There are a variety of treatments available. The least invasive option is hand therapy. This will often involve a resting splint or brace in more severe cases, or taping of the thumb and wrist in mild cases. Heat and soft tissue massage are also usually beneficial. Your therapist will talk to you about how to change your everyday activities to help rest the affected tendons and reduce irritation. Most of these treatments I have listed are passive treatments, where the client can do very little but wait for the symptoms to improve. With my clients I also use some specific exercises called isometric loading exercises. In recent research studies looking at lower limb tendinopathies, isometric loading exercises have helped to reduce pain and thus aid in recovery. These exercises should not be painful and can easily be graded in intensity of the muscle contraction, duration of hold , repetition and frequency. 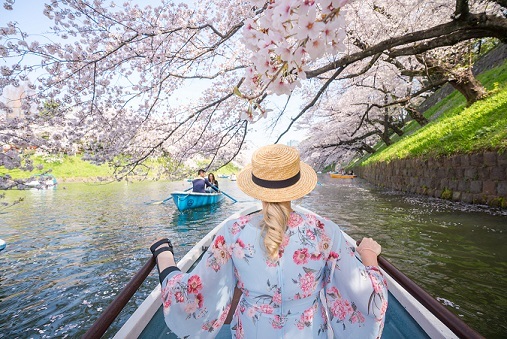 Other treatment options include an ultrasound-guided corticosteroid injection, which doesn’t always work long term, but effectiveness can be enhanced with the addition of hand therapy. If injection and therapy fail, there is a final option of surgical release of the fibrous tunnel, but most people wish to avoid surgery where possible. 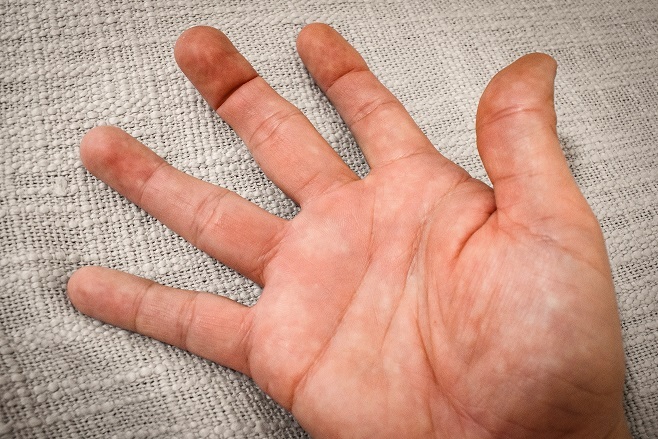 If you think you have deQuervain’s, call us today at The Hand Recovery Centre to book an appointment. Oct 25 Comments Off on Carpal Tunnel Syndrome – What is it & How do I Recover? Carpal Tunnel Syndrome – What is it & How do I Recover? Pins and needles in your hand waking you at night? Or does it come on when you’re driving the car? What about weakness in your hand or dropping objects? You may have Carpal Tunnel Syndrome (CTS). CTS affects about 2.5% of the population, which means it’s likely that you know someone who has these annoying tingles. And while lots of people have it and know what it is, not many people are aware that surgery is not the only treatment option! Let’s face it, no one wants to go under the knife if they don’t have to and the good news is that hand therapy can help! But let’s start at the beginning. The main sensory nerve of the hand is called the median nerve. It supplies sensation to the thumb, index finger, middle finger and half of the ring finger. As the median nerve crosses the wrist, it must pass through a narrow tunnel formed by the small carpal bones at the bottom and a thick ligament called the transverse carpal ligament across the top. This space is called the Carpal Tunnel. Unfortunately for the median nerve, it has to share the space in the carpal tunnel with 9 tendons. And if anything happens in there to make the space a bit tight, whether that be fluid, inflammation or certain positions of the wrist, the median nerve becomes squashed. The symptoms produced by mechanical squashing of a nerve is called a nerve compression syndrome. There are several other nerve compression syndromes that occur in the upper limb, the nerves do have a long way to travel from the spinal cord down the arm and pass through various other pokey spaces along the way, but CTS is by far the most common. Is it caused by the type of work I do? To be honest, the jury is still out on whether particular types of work cause CTS, but if you already have some nerve compression present, then your work can most likely make it worse. There are lots of known causes of CTS. Genetic factors can contribute, with people of European descent more likely to experience CTS. In addition, diabetes, age and gender all play a role in causing the condition, with women more than 3 times likely than men to experience CTS. The majority of cases occur in people aged over 50 years. However, CTS can be made worse by poor posture, holding the wrist or hand in the same position for long periods of time, highly repetitive hand activity and vibration from hand tools and machinery such as a sander or jackhammer. If you suspect you have CTS, I suggest first visiting your GP and requesting a test called a nerve conduction study. This test measures how fast the nerve transmits electrical impulses at different points along the arm and can identify how severe the damage to the nerve is and also in what place the compression is occurring (e.g. at the elbow or the wrist). If the nerve compression is severe, it is important to seek treatment ASAP to minimise the risk of permanent damage to the nerve. A nerve conduction study is not essential prior to commencing therapy and if you have to wait to have the test done then there is no problem starting therapy right away. An occupational therapist or physiotherapist who is a member of the Australian Hand Therapy Association (AHTA) will be able to do a thorough assessment to determine which treatments may be the most suitable for your needs. 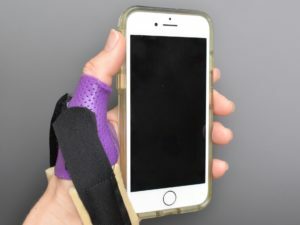 Most therapists will provide a splint which limits wrist movement (and in some cases finger movement) at particular times of day or night to reduce the compression of the nerve that occurs in certain positions. The type and wearing regime of the splint will depend largely on your symptoms, body shape and your lifestyle. Several types of exercises can be provided to help the nerve to recover from any damage that may have occurred and prevent further injury from happening. These are usually low repetition movements that result in sliding the nerve and or tendons through the carpal tunnel. Education of the client is a very important part of therapy because it teaches you what is happening in your own body, what to do to prevent compressing the nerve and how to manage your CTS into the future should symptoms return. Is it better to get treatment straight away or can I wait? The longer you have had CTS, the less likely that the nerve will recover completely. You are most likely to get a full recovery if you start therapy within the first six months of noticing the problem. So don’t delay, get back to what you love sooner and call The Hand Recovery Centre to book your appointment today! Picture your football final. The score is close, there’s less than two minutes on the clock and if your team makes one more try you’ll be the champions. You see an opening in the defensive line, a chance to make the winning try. Your teammate sees it too and passes you the ball. You make your play. You get tackled close to the line but make it over and get that winning try. But on your dive to the ground your stretch out your hand to brace your body against the fall. You feel something snap in your wrist when you hit the ground but at the first the adrenaline blocks out any pain. A few hours later the pain bites as your turn on the tap for the shower. It starts to ache and you can’t sleep. You take some Nurofen, ice it and go to bed. The next morning it’s a little bit swollen and sore but the pain is manageable and it only really hurts when you turn on a tap or grip something. You think “if it was broken it wouldn’t be able to move it at all, must be just a sprain”. After a supposed wrist sprain, many people ignore it and carry on, assuming it will heal. But wrist sprains can be serious. What you do next could be critical to the long-term health of your wrist joint. Did you know that the wrist joint involves 15 bones with many ligaments joining these bones to each other? Ligaments are pieces of tough tissue that join bone to bone providing stability to joints. This makes the wrist arguably the most complicated joint in the human body. A sprain is an injury to one or more of these ligaments. 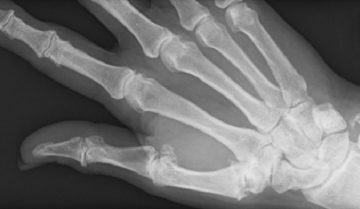 A fall on an outstretched hand can cause a fracture to any one of these 15 bones, a sprain to some of the ligaments, and/or a dislocation to one of the joints. And the scary part is that a fracture or serious sprain doesn’t always hurt as much as you would expect. For this reason, if your wrist hurts after a fall, it’s vitally important to see a doctor to get an x-ray. A neglected injury can lead to an unstable or painful joint for years to come. Apart from identifying any factures, x-rays can also show any unusual positioning of the bones that may indicate a torn ligament. While it’s encouraging if the x-ray comes back clear, it doesn’t mean you’re out of the woods. Some fractures of the small carpal wrist bones, particularly the scaphoid, are difficult to see on x-ray. Depending on the site of the pain, your GP may recommend another x-ray in a few days or a CT or MRI scan. These other scans can be expensive and not always required in the outset so don’t worry if your doctor doesn’t recommend one. So, your x-ray shows no fracture, the swelling has gone but your wrist still hurts sometimes. Is it best to wait it out or get treatment straight away? My advice to you is that you should get treatment straight away, as you are likely to recover faster. But it’s important that you see the RIGHT person. Someone who knows wrist injuries and has lots of experience treating them. You can be sure to find someone with the appropriate experience if they are a member of the Australian Hand Therapy Association, soon to be known as an Accredited Hand Therapist. This is an occupational therapist or physiotherapist with additional training and extensive experience managing hand, wrist and elbow injuries. You can find an appropriate therapist here https://www.ahta.com.au/site/find-a-therapist. Once you’ve booked an appointment with an experienced practitioner in hand therapy, ensure you take any x-rays or scans that you have to your appointment. At your initial appointment, you can expect a thorough wrist and hand assessment. This helps to identify which ligament you have injured and how severe the damage may be, particularly if you haven’t had an MRI. Correct diagnosis allows you and your therapist to develop an appropriate treatment plan. 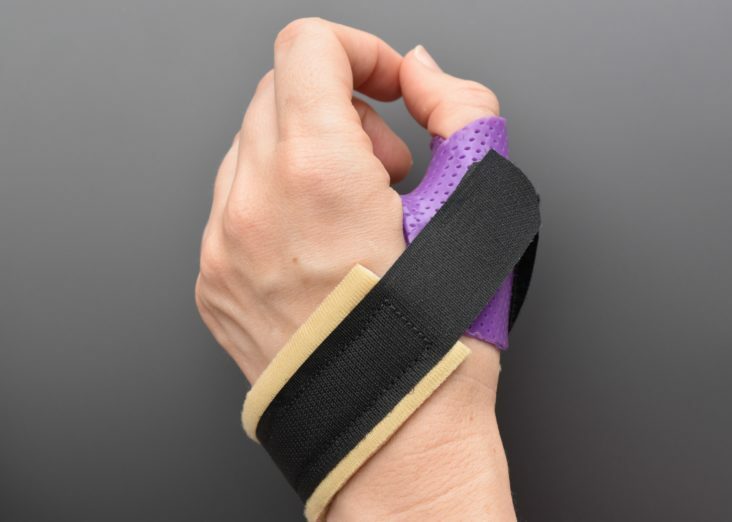 We can help you to understand the role of the injured structures in your wrist and why you should follow our advice for splinting, bracing or taping, activity restriction and therapy exercises. The two most commonly injured ligaments in the wrist are the triangular fibrocartilage complex (TFCC) and the scapho-lunate ligament (SLL). These ligamentous structures have vastly separate roles and therefore they shouldn’t be treated in the same way. The TFCC is a group of three ligaments and a cartilage pad. It plays a vital role in stabilising the part of the wrist that performs rotation of the forearm. An injury to the TFCC often causes pain on the little finger side of the wrist, particularly with twisting (such as turning taps) or gripping. The scapho-lunate ligament has two parts and joins two of the small carpal bones of the wrist: the scaphoid and the lunate. This ligament is very important in making sure the wrist bones move the way that they were designed. An undiagnosed injury to the SLL may lead to serious wrist problems in the future. This injury causes pain in the middle of the wrist with gripping and when leaning on the hand. After initial assessment to get a diagnosis, several therapy sessions will be required to monitor your recovery and progress your treatment. A custom-made orthosis or semi-rigid wrist splint may be required to rest the injury to allow healing. Gentle and very specific exercises will likely be started early in your rehabilitation and these will change and increase over time. You may also be given some unusual exercises such as using water in bottles or pipes or even rolling marbles on plates! The most important thing is to get qualified treatment early, follow your treatment guidelines and commit to your recovery plan by dutifully doing prescribed activities and exercises or avoiding restricted activities. It just might be the difference between a full recovery and partial recovery. For more articles like this, like our Facebook page https://www.facebook.com/thehandrecoverycentre/ or visit our website for more details http://www.handrecovery.com.au/what-is-hand-therapy/ . If you follow the AFL, you’ll know that Brisbane Lions vice captain Tom Rockliff experienced a finger dislocation last month during their match against Richmond. But it’s no biggie because he won’t miss any matches, right? But hang on a second, the Lions team Head of Medical reported that the dislocation was accompanied by a small fracture near the joint and Rockliff has to wear a splint on the finger when he’s not playing. That sounds a bit more serious… but isn’t it just a dislocated finger? Finger dislocations are extremely common in ball sports, in fact you may have had one or two yourself. All it takes is a fast-moving ball to hit the end of the finger and – ouch! It’s dislocated. Sometimes, it’s as simple as popping the finger back in, buddy strapping to the next finger and away you go. But often, it’s not so simple. It hurts. Ouch. The finger swells up. Gross. It becomes stiff. Uh-oh. You’re left with a permanently bent, clunky or stiff finger. What the?!. The more often you dislocate the same joint, the more easily it happens until it takes barely anything to pop it out of place. And then what? The only solution is surgical. Well that’s a real pain in the neck. I’m here to give you some tips on why and how to prevent complications such as stiffness, deformity and recurrent dislocations. Because it may not be “just” a dislocated finger. When you or your team-mate dislocate a finger in a match, make sure it is only put back in by a qualified person. Jo Bloggs could cause more damage by reefing on your injured finger. If there isn’t someone qualified onsite, go to your local emergency department. An x-ray prior to popping the finger back in (known as reducing the dislocation) can actually be useful information for your treating therapist. It’s very important to get an x-ray after the dislocation has been reduced. This will tell you whether the joint is in the correct position, whether the joint is stable, and whether there had been any accompanying bony injury. Please do not skip this step! X-rays are bulk-billed so this will only cost you your time and may save you time, money, pain and a raft of problems down the track. The finger should be splinted or buddy strapped to the neighbouring finger immediately after reduction. This is to prevent it popping out again as you may have torn some of the supportive tendons or ligaments. Armed with your x-ray in hand, visit your local hand therapy clinic as soon after your injury as you can, preferably within the first week. Be cautious of seeing other allied health or complementary medicine professionals. They do not have the in depth knowledge and experience for dealing with finger injuries. First and foremost, Hand therapy will arm you with information. It s so important for us to provide education about what has been injured, what to avoid to prevent further injury and what can be done to aid in a speedy recovery. 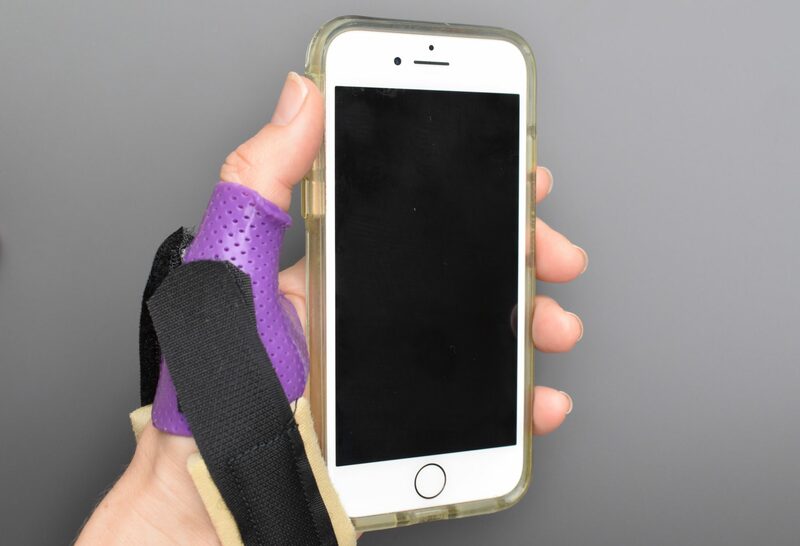 A practitioner of hand therapy will be able to custom make a suitable splint to protect the finger from further dislocation, without immobilising any joints that do not need to be. A compression wrap to the finger will help to control the swelling, as persistent swelling is a major contributing factor pain and stiffness of the finger. Exercises. Yes, even though the finger will be painful, exercises are important in the first week. But not just any exercises, very specific exercises which are safe to do post dislocation, usually whilst wearing your custom-made splint. If you haven’t already, visit your local hand therapy clinic. Secondly, keep wearing your splint and complying with the prescribed treatment. This is an important time for the injured structures in your finger to keep healing. It’s normal for the finger to still be somewhat swollen and painful. This is important as swelling is part of the healing process and pain is an important reminder to be kind to your finger because it’s still healing. 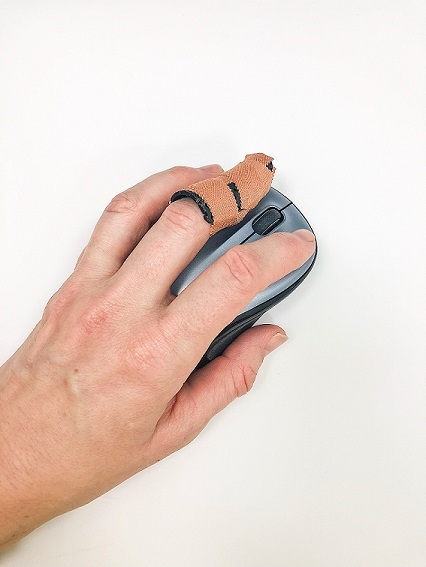 It’s likely that you will be able to stop wearing the splint most of the time but you still need to be careful with what you do as the finger is still healing. If you wish to play sport, you will need to strap the finger to the neighbouring finger to protect it from re-injury. What to do – week 6 and beyond. All being well your finger should be pretty much back to normal by this time. Some swelling and the odd twinge of pain may linger. Buddy strapping during sport is generally recommended until 12 weeks, but if you had some decent hand therapy and followed the expert advice, your injury will most likely be a distant memory from the time you had “just” a dislocated finger. Who doesn’t love a good flick? Action and thrillers are my favourite. My husband and I recently watched the latest Marvel instalment, Dr Strange. Have you seen it? Benedict Cumberbatch plays Dr Stephen Strange, an egotistical neurosurgeon who loses function in his hands following a horrific car accident. In his mind, Stephen is THE BEST at what he does. The loss of his ability to be a surgeon is so devastating that when he thinks medicine had “failed” him, he seeks to find healing from less conventional and bizarre sources. Thus ensues an entertaining film. But haaaaang on! Stop the movie! Rewind! Let’s talk about this a bit more. As a person that manages hand injuries for a profession there are a few things wrong here. Some red flags. Let’s talk about how Stephen could have gotten better results out of his hand therapy. There was a therapy scene in the film. It was frightening, from a patient point of view and a therapist! What were those exercises? And that device he was using to exercise his fingers??? I have no idea. It’s certainly not what a hand therapy practitioner would prescribe. The hand is a very complex unit with many bones, ligaments, tendons, muscles, nerves and vessels. 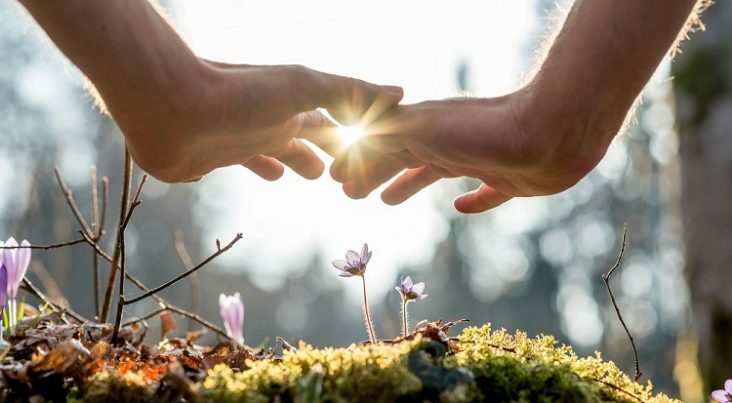 The function of the hand is also unique and remarkable and the best outcomes are achieved when your therapist has a thorough understanding of all of these factors. In Australia, to make sure your therapist has specialised training and experience in hand and upper limb rehabilitation, check that they are a full member of the Australian Hand Therapy Association (AHTA). Full membership can only be attained by an occupational therapist or physiotherapist with a minimum of 3000 hours experience and 500 hours training directly related to treatment of hand and upper limb injuries. A list of full members can be found at http://www.ahta.com.au/site/find-a-therapist. 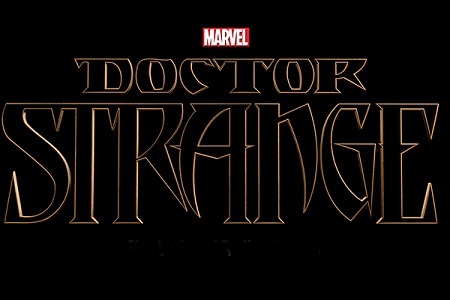 It was pretty clear that Dr strange didn’t trust his surgeon and therapist. He questioned everything. He gave them attitude. He was pretty unpleasant to be honest! I support patients asking questions, doing their own research and making an informed decision. It is a health care provider’s responsibility to explain to patients their options so that they can make their own decisions regarding health care. But keep in mind that we have a lot of knowledge and experience to draw on, have your best interests in mind and are doing our best for you. Find a surgeon and therapist that you like and trust and I promise you will get a better result. I saw a lack of commitment from Dr Strange. It appeared to me he wanted a quick fix. The fastest route back to neurosurgery and his former life. Let me tell you a secret: there is no quick fix. No magic wand. No miracle pill. Sorry, but results come from commitment and hard work. Much like training for a marathon, recovering from a hand injury is tough and sometimes painful. If you commit to doing your exercises several times a day, EVERY day, or as prescribed by your therapist, you can expect to see great results. The best way to remain motivated is to set goals. Goals that are specific, measurable, attainable, realistic and have a time frame. Have short term and long term goals. Also, find ways to fit your home exercise program into your daily schedule, make it a habit like your morning walk or taking your multivitamins. Schedule it in and set reminders on your phone. There’s a great App called RehabMinder that you can program to remind you to do specific exercises at specific times. A therapy diary is a great way to document your goals and progress. When you become frustrated with your progress, look back to where you started to see how far you have come. This helps you to remain focused and motivated. I encouraged you to celebrate your successes, however small. For example, you can now hold a fork or no longer need your splint during the day. This will help you to remain positive when the obstacles seem too great to overcome. Check out this interesting read from Diabetes IQ Magazine! 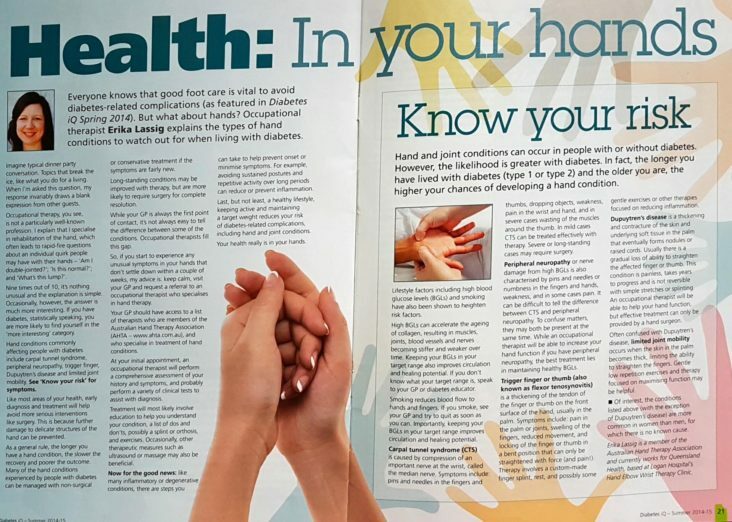 This was written by Erika Lassig in 2014 to raise awareness for hand conditions that are commonly encountered by those managing diabetes. 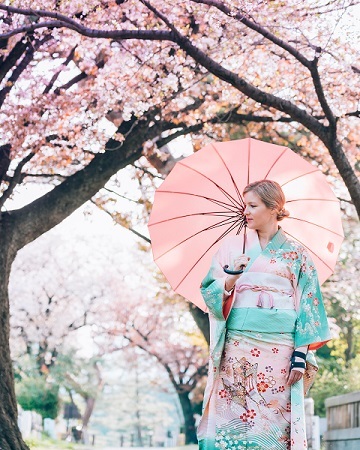 Like or Follow our Facebook page for the latest blog posts from Erika as they are published. Click on the Facebook icon to go to our page.